Aug. 7, 2017 12:30 p.m.
One of the most iconic airplanes from the Second World War has stopped at the Red Deer Regional Airport through to Aug. 13th. 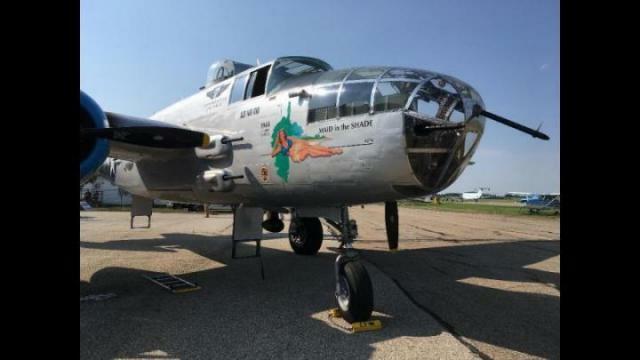 The Arizona Commemorative Air Force Museum (AZCAF) is hosting the Flying Legends of Victory Tour, which features the B-25 Mitchell ‘Maid in the Shade’ aircraft. The bomber was flown during the Second World War, and is one of 34 aircrafts of its kind still flying in the world.